Ever since Ken Hackney blogged for us about drones back in August 2014 (Drones), the conversation about them has seemingly been everywhere. Whether it’s about drones almost colliding with airliners or the FAA coming up with a set of guidelines for their use, the use of drones for television production is sure to stir up strong feelings on both sides of their use. 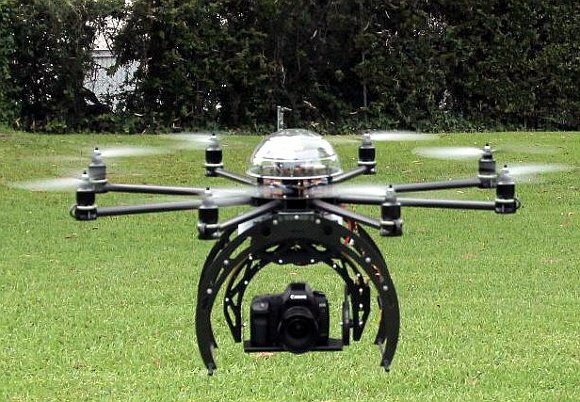 This year at NAB, there will be a new “Aerial Robotics and Drone Pavilion” that will consist of an enclosed flying cage in order to get an up close look at a variety of drones. That should be an interesting sight! In today’s Wall Street Journal, they wrote how drones are changing production and even saving money for productions. They definitely give a camera operator and director a lot more options when it comes to how they can shoot something. What do you think? Are drones useful for you in your daily work or do you view them as just another toy to deploy? Do you think the safety issues are overblown or a real concern? If any of you have any clips of drone footage you’ve shot and would be willing to share it, I’m sure there are plenty of us who would love to see it.